The calendar say it's June but it hasn't felt much like summer. Don't worry, summer is coming. Honest! 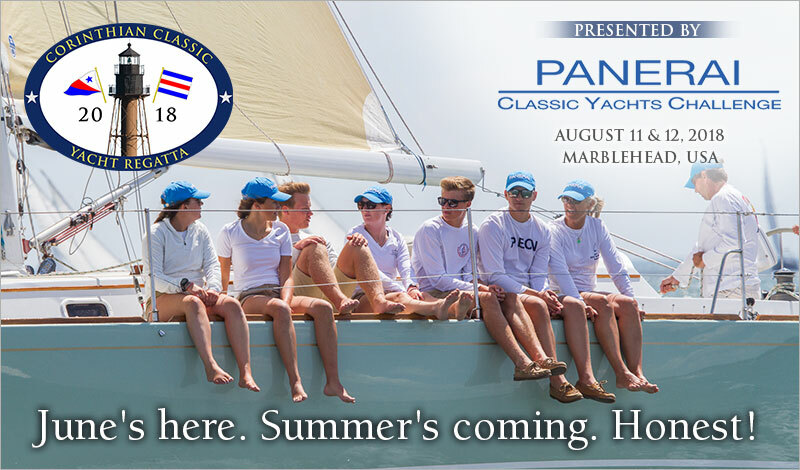 So is the Corinthian Classic Yacht Regatta, August 11 & 12. This regatta is a blast and easy to sail! The "Panerai fleet" is open to sailing yachts with a minimum waterline of 20', made of wood aluminum or steel, designed and built using original methods and materials and built on or before 1972. The "Classic GRP"- (Glass Reinforced Plastic) - is for yachts built of fiberglass that have not been modified, and have been designed during the CCA era or are at least 40 years old.